Listening to the while series again. I love this podcast. Simply incredible. It starts a little slow but is well worth the ride. And the ending is superb. It's so good I almost hope they don't do a second season. Almost. In a brand new Bonus episode of RABBITS we bring you: listener mail, and news about Season Two and more! Join podcast host Amanda Morrison, her producer Mitch, and conspiracy theorist friend, Colin, as they work to uncover the truth behind an age-old, secretive group known only as the Leap Year Society, whose enigmatic present day recruitment program is inexorably linked to research that borders on the paranormal. In the Season Finale of Rabbits, Carly encounters some old friends before leaving the country in search of Yumiko, and, perhaps, the final mystery at the heart of Rabbits. SUPPORT RABBITS BY VISITING OUR SPONSORS! In the penultimate episode of Season One, Carly and Jones dig further into The mysterious Gatewick Institute, and another conversation with Alan Scarpio reveals more about the game, and the enigmatic figure known as Hazel. Carly and Jones visit a reclusive billionaire who appears to know a whole lot more than he’s letting on, and Carly begins to seriously consider the fact that Rabbits might be much more than just a game. Carly finds something while playing a game. Harper and Carly meet Batman, Carly and Jones visit Arcadia, and Marigold has another message. In the sixth episode of Rabbits, the Marigold recordings appear to reveal the impossible, and we learn something remarkable about Carly’s past. In episode five, Carly digs into the mysterious Gatewick Institute, Jones finds something interesting in the Marigold Recordings, and the Magician provides some additional information about the game. In the first BONUS episode of RABBITS we bring you: listener mail, and Carly Parker reading an excerpt from a very interesting article. In the fourth episode of Rabbits, Carly and Jones dig further into the history of the game, a new voice points them in a new direction, and the mysterious Hazel makes another appearance. In our third episode, Carly’s search for Yumiko leads to an obscure underground radio station, a vintage t-shirt reveals an impossible photograph, and a work of classic modern art appears to contain a strange secret. 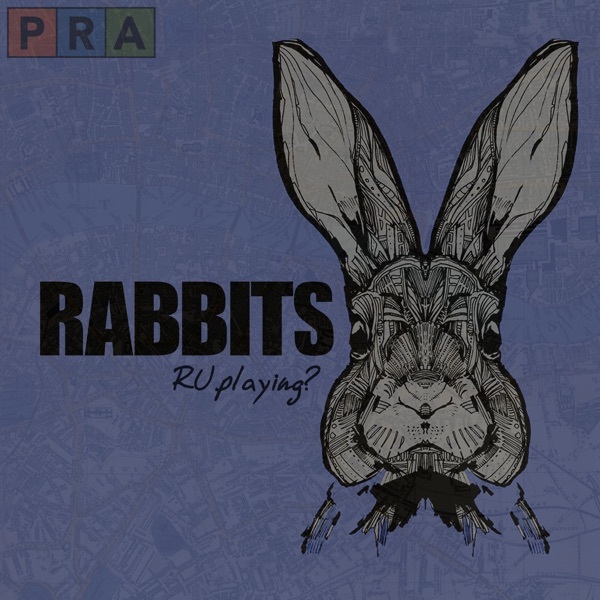 In the series premiere of Rabbits, Carly Parker's search for her missing best friend leads her to a mysterious nameless ancient game the players refer to only as “Rabbits;” a secret, dangerous, and occasionally fatal underground game, where the prizes are unclear but may involve: large sums of money, NSA or CSI recruitment, and perhaps even the key to unlocking the secrets of the universe. When Carly Parker’s best friend Yumiko goes missing under very mysterious circumstances, Carly’s search for her friend leads her headfirst into a mysterious game known only as Rabbits: an ancient dangerous game as old as time itself. Soon Carly begins to suspect that Rabbits is much more than just a game, and that the key to understanding Rabbits, might be the key to the survival of our species, and the Universe, as we know it.